All Frankston homes currently listed for sale in Frankston as of 04/23/2019 are shown below. You can change the search criteria at any time by pressing the 'Change Search' button below. If you have any questions or you would like more information about any Frankston homes for sale or other Frankston real estate, please contact us and one of our knowledgeable Frankston REALTORS® would be pleased to assist you. 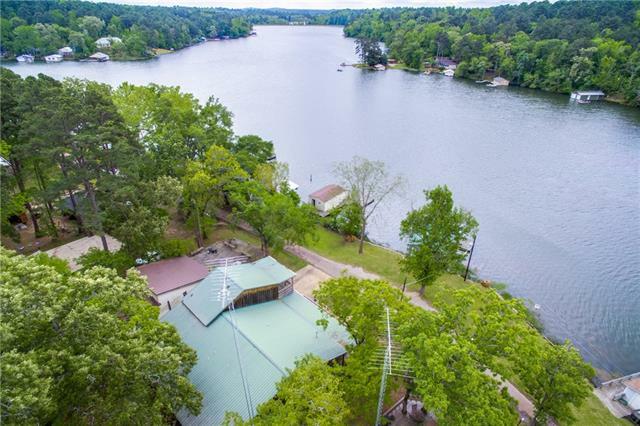 "Beautiful WF farmhouse on Lake Palestine located in the quite, prestigious Windrock gated community this home has breathtaking views from just about every room. Open living concept with lots of windows. Gourmet kitchen with stainless appliances, built in refrigerator, custom cabinetry, quartz counter tops. Master suite and master bath located downstairs with large walk-in closets w built in shelving. Located upstairs surrounding 4 additional bedrooms is a large family room or office area. 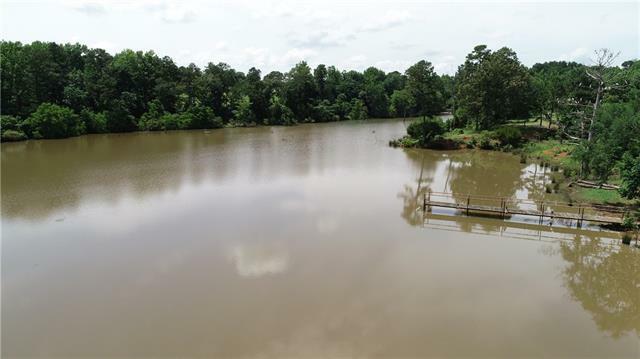 Above "
"Beautiful 220+or- East Texas acres featuring 4+ acre deep spring fed lake, approx. 60% mixed native & coastal grass, fenced & cross-fenced pastures, & an excellent set of working pens with scale. The wooded areas have a nice mix of oak & pine & there are some areas with deep ravines adding dimension to the landscape. The 2261 SF 3BR 2Bth home with covered back porch offers large living area, fireplace with gas logs, commercial gas stove & a dining area with nice built-ins & cabinets. 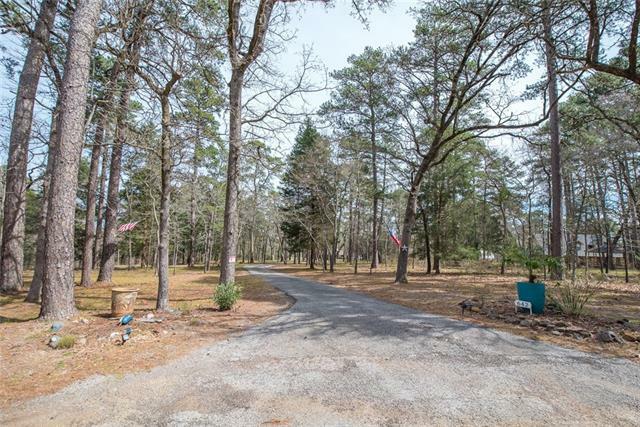 The home bo"
"See this beautiful 100 acre cattle ranch located just off HWY 155 in Frankston Texas. 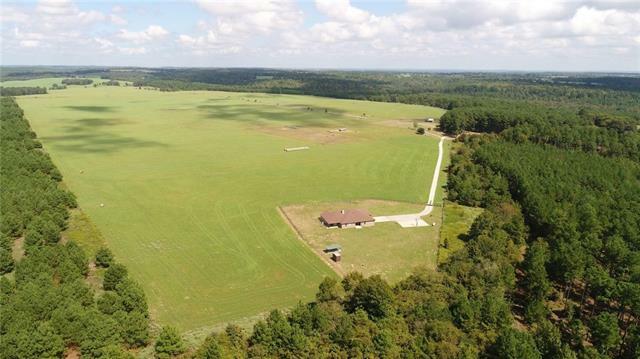 There are approximately 85 acres of improved pasture, which is in Coastal Bermuda that produces quality hay annually, fenced and cross fenced. This property also boasts a custom home built by Casey Homes Construction, Tyler's 2010 builder of the year. With 2510 sq ft this home has 3 bedrooms, 2.5 baths, an office, and game room. 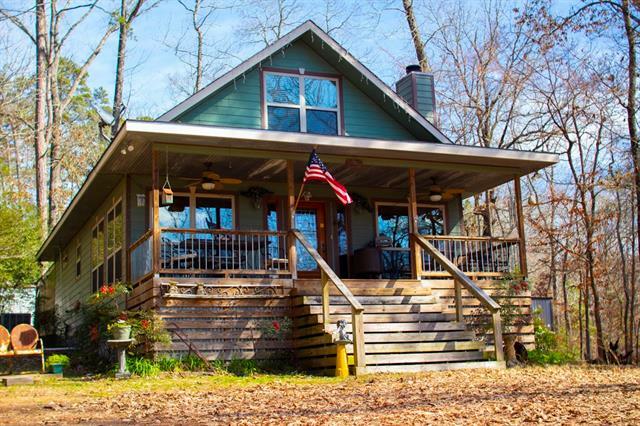 Relax inside next to the beautiful wood burning fireplace in the winter, or outside"
"Hunting lodge and acreage on Caddo Creek, East of Athens. Incredible 3800 SF rustic log home on acreage is updated with granite counters, stainless appliances, flooring, paint, wood paneling added throughout, recent HVAC, electrical wiring, and security alarm system. A large bar has been added in the down stairs, for entertaining. Home features walk in closets, and wrap around covered patio. The yard is beautiful with mature shade trees, sits away from the highway providing quiet and solitude. " 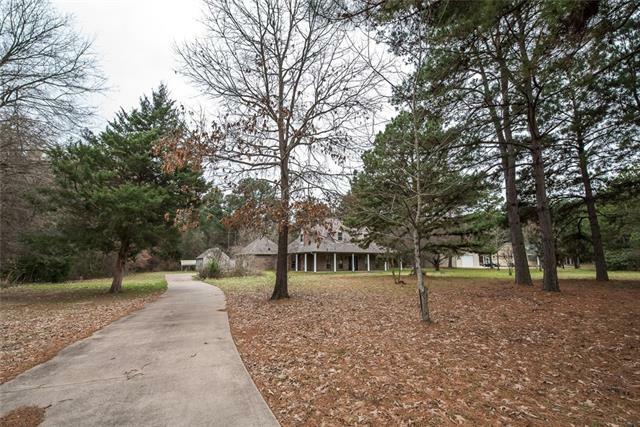 "Hunting lodge and acreage on Caddo Creek, East of Athens. Incredible 3800 SF rustic log home on acreage is updated with granite counters, stainless appliances, flooring, paint, recent HVAC, electrical wiring, and security alarm system. A large bar has been added in the down stairs, for entertaining. Home features walk in closets, and wrap around covered patio. The yard is beautiful with mature shade trees, sits away from the highway providing quiet and solitude. 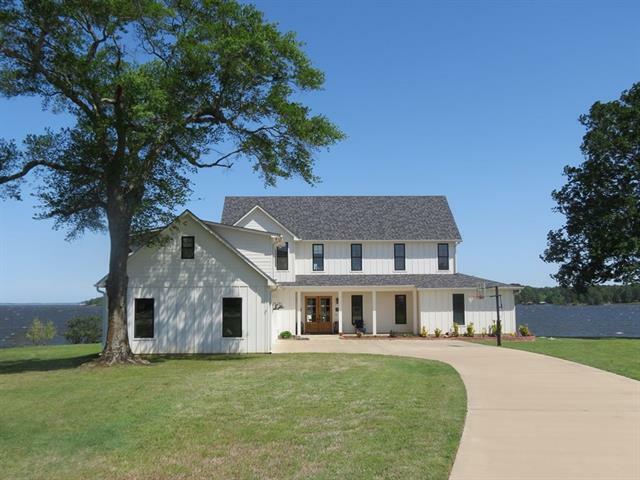 Property fronts Caddo Creek and"
"Amazing waterfront home in the highly sought after Lollipop Landing. Home is on a quiet cul de sac. with 4 bedroom 4 full bath. Screened in porch and split level decking. Home boast a boat house with a boat lift and fish cleaning station with entertainment areas for fun. Home has an income potential for a holiday let as well." 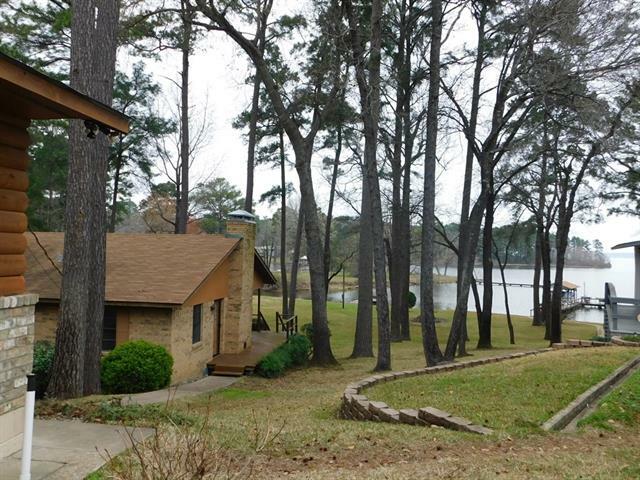 "BEAUTIFUL LAKE HOME LOCATED ON PRIVATE LAKE FRANKSTON IN THE MIDDLE OF EAST TEXAS PINEY WOODS. THIS HOME HAS IT ALL, 3 BEDROOMS, 3 FULL BATHS, 3,312sqft, BAMBOO WOOD FLOORS, MARBLE FLOOR IN 2 BATHS, WOOD BURNING FIRE PLACE, WALLS OF WINDOWS EVERYWHERE WITH AMAZING WATER VIEWS. OPEN FLOOR PLAN WITH THE EAT IN KITCHEN OPEN TO DINING AND LIVING AREA. INCLUDES STAINLESS STEEL APPLIANCES, FURNITURE, TONS OF CABINETS THROUGH OUT, LAUNDRY ROOM WITH SINK, LAUNDRY CHUTE AND PLENTY OF SPACE FOR ENTERTAINI"
"Custom-built home has everything your family is looking for Upstairs: 4 BR - 3 are large - 1 is smaller. 2 baths complete upstairs Downstairs: 2 living spaces, half bath, formal dining room with wall to wall built in hutch, Master Suite, Office and Sun Room opening to pool Love this kitchen with solid wood cabinets & granite and breakfast room Huge Laundry room has so much storage Work Shop build on a slab provides 521 sq. ft. of hobby space. 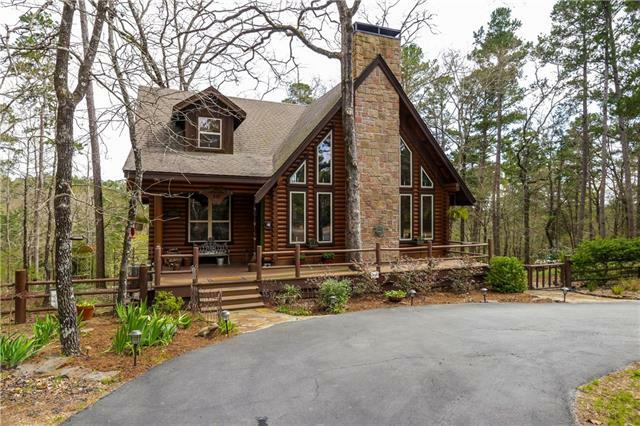 Oversized 2 Car Garage This property all"
"This Satterwhite log cabin is incredible. You will feel like you are at the lodge every night and day. Current owners have completely remodeled the inside and out of this beauty. The home offers a bedroom and bath downstairs and the second bed and bath are upstairs. Every item in this home is spectacular with no expense spared. This is a must see if you love nature and privacy. There is not another home like it. Owner has two lots near golf course that may convey with full price offer. This prop"
"At the water's edge, this property is boasting lakefront dream home overlooking Lake Frankston. Home updated in 2000. Home is a One and a Half-story home with kitchen, living room, master bedroom, fireplace, large attic with a carport. 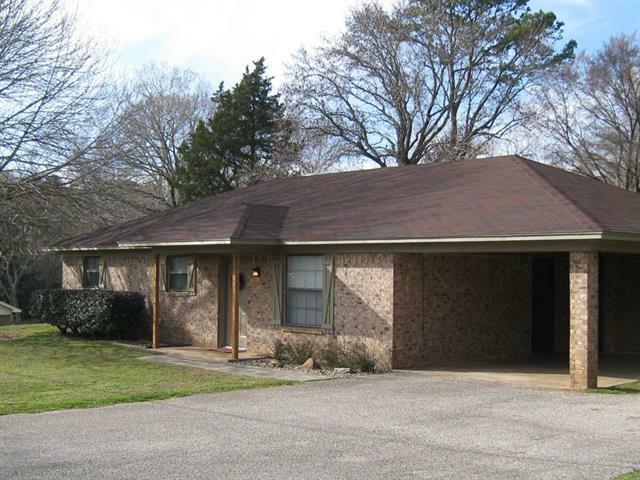 Main home has three bedrooms with two baths, master suite with Cedar walk-in closet. Open plan living room, galley kitchen, breakfast bar, covered front porch, huge back covered deck overlooking the water, lower level has room for storage. 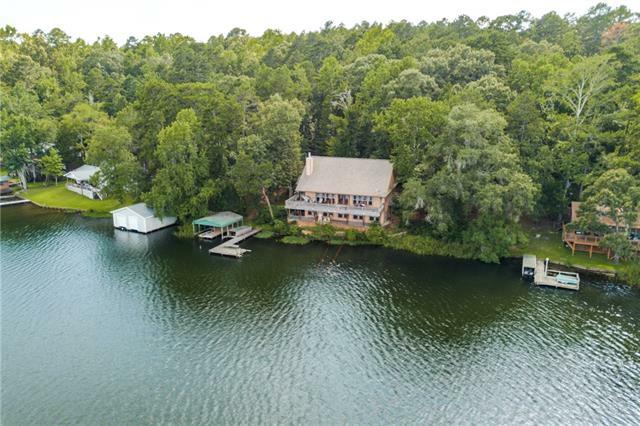 Also a Boathouse with h"
"Beautiful Home with nice shop on 5 wooded acres in restricted lake community 2190 sq ft 3 BR 2 BA set on 5 acres in a platted neighborhood of large lots Water view from the back. Home is updated with beautiful granite countertops, open living arrangement, split bedrooms, large sunroom is a second living area In back is an 18'x25' covered deck for entertaining or morning coffee Watch deer from the large covered front porch 2 car garage plus 18'x24' Metal Shop Building with 10'x24' Shed R"
"A BEAUTIFUL LAKEFRONT HOME LOCATED IN THE PINEY WOODS OF EAST TEXAS ON A GORGEOUS PEACEFUL 120 ACRE SPRING FED LAKE, WITH GATED ENTRANCE. 2,828SQFT 5 BEDROOMS, 4 FULL BATHROOMS, 2 LIVING AREAS PLUS AN OFFICE. OPEN FLOOR PLAN, HARDWOOD FLOORING, CEILING FANS, LARGE BOAT HOUSE WITH DOCK, ONE GOLF CART STAYS, LAWN SPRINKLER SYSTEM, OVERSIZED 2 CAR ATTACHED CARPORT, LARGE FRONT COVERED PORCH WITH CEILING FANS, UPSTAIRS BALCONY OFF THE MASTER BEDROOM PERFECT FOR MORNING COFFEE OR ANYTIME. 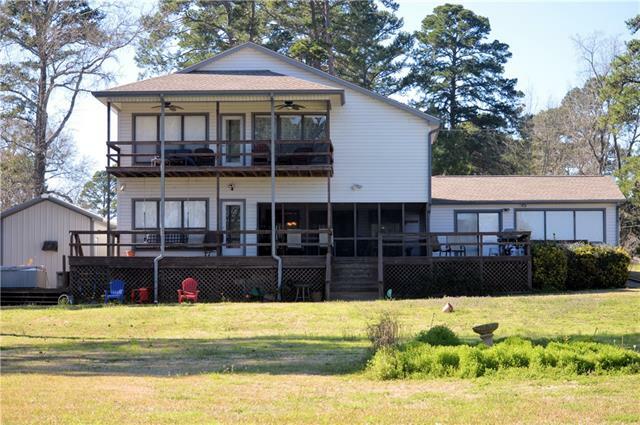 ALL OF TH"
"Custom two-story home overlooking Lake Frankson with three bedrooms two baths, storage sitting on a waterfront lot. Home boast a grand open floor plan living room with wood burning fireplace, wood floors, lighting, central heat and AC, ceiling fans, storm windows, boat dock, upgraded front doors, custom floor plan, covered parking in rear, oak floors, covered porch, well lit, and private circle drive. Private HOA. Lake stocked with Bass, Crappie. Enjoy wildlife, walking trails, fishing, and swi"
"Private Lake Living! Enjoy the east view from the large covered porch or the pier. 2bd 2ba open split plan give you plenty of room with a view. Home is UPDATED! 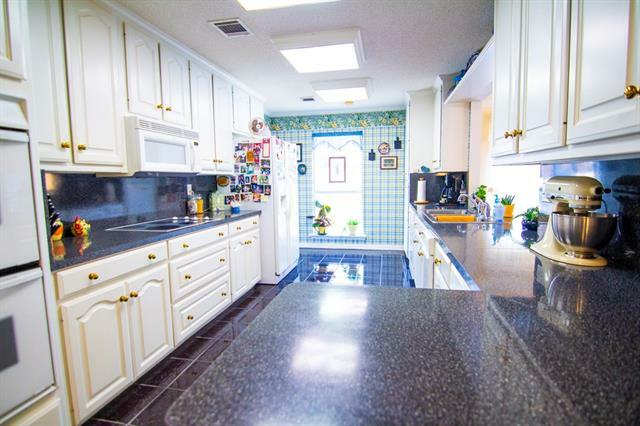 Granite counters & breakfast bar, cook top, kitchen appliances stay, roof is 3 years old. It's move in ready! Bunkbeds & guest couch stay too. 24x12 pier with plenty of room to play. Separate large 2 stall boat house with storage & a smaller storage building for golfcart or mower. 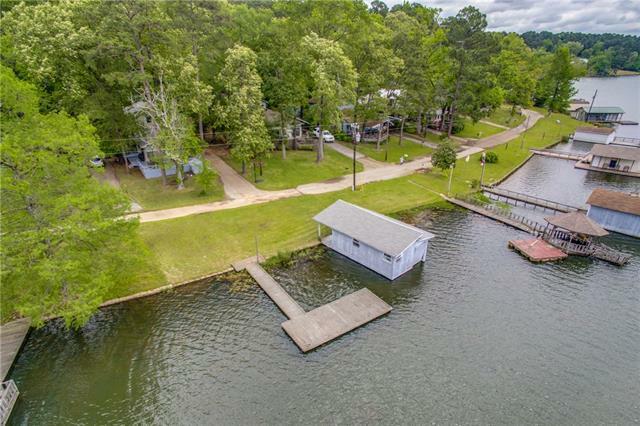 Truly private lake living. Lake has a 10hp max rule, exce"
"REDUCED!! A RARE PARADISE, HIDDEN IN THE PINEY WOODS OF EAST TEXAS. 120 ACRE SPRING FED LAKE, WITH GATED ENTRANCE . 1,728 SQ FT, 3 LARGE BEDROOMS AND 2 FULL BATHROOMS. THIS HOUSE HAS A GIANT UPSTAIRS BEDROOM THAT COULD BE MADE IN TO TWO BEDROOMS. DOWNSTAIRS IS AN OPEN FLOOR PLAN WITH GREAT VIEWS OF THIS BEAUTIFUL LAKE. 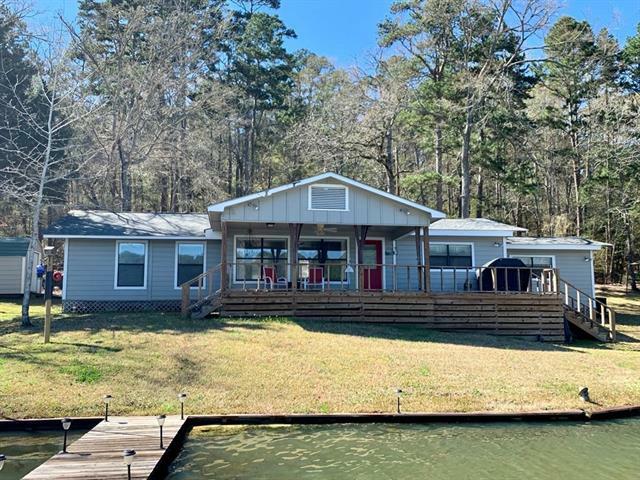 VAULTED CEILINGS, CEILING FANS, WOOD BURNING FIRE PLACE, GOOD SIZED KITCHEN, OUTDOOR GRILL, DECK, PORCH, DOCK, BOAT HOUSE, ALL ON A PRIVATE LAKE FOR YOUR ENJOYMENT. A PERFECT P"
"Lake front property, well maintained, casual living, awesome yard and fantastic lake views! 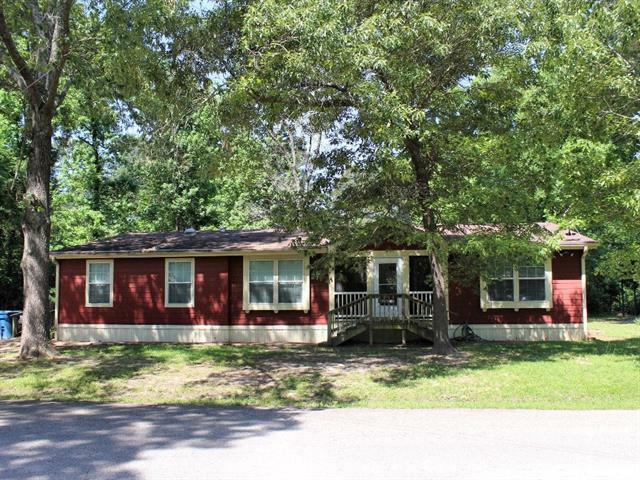 This 2 bdrm 2 bath brick home with great open living kitchen space, open views of the lake. Wood burning fireplace, many improvements include an extra lot with an aerobic septic installed in 2005. Additional insulation added to attic, HVAC, roof and dishwasher replaced in 2007-08. A steel bulkhead installed in 2010. Entire house painted, new light fixtures, laminate flooring installed, new toilets, bath m"
"Home has recently been updated & enlarged. Garage has been turned into a comfortable living area. 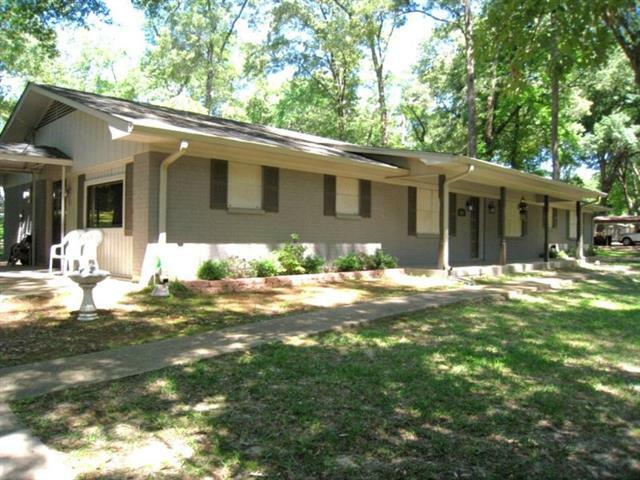 Home is all electric w 3 BD, 2 BA, dining area, office area & large utility room. Back of home has a nice covered patio overlooking a beautiful back yard. Property has 15 x 12 a storage building on concrete slab. There is also a 30 x 30 metal workshop building on concrete slab w overhead door. Building has central HVAC along w half bath. House & shop have alarm system w motion sensor & monitored by "
"Multi-use property would be perfect as a residence in the heart of town or as commercial property on great hwy frontage. 3 BD, 2 BA, 2 living areas & lots of storage. Home has been completely updated with new flooring, some of the hardwoods floors brought back to their original beauty. Several updates including new SS appliances, counter tops, new paint throughout, new light fixtures, new heating & cooling, roof, & 200 amp service, utility &storage room in garage. Beautiful pine paneling origin"
"Frankston home for sale at 100 Ridge Road. Small, one street only community that is a site-built homes only area south of Tyler TX. Great location with quick access to Frankston but with the feel of living in the country. This 3 bedroom 2 bath home is move in ready. Home has great curb appeal and the exterior has been recently repainted. You will love the kitchen with the vintage island along with the stone backsplash. The utility room is attached to the carport. Home has a nice large covered de"
"Beautiful triple wide Palm Harbor 3 bedrooms and 3 full baths manufactured home in Brierwood Bay. The home has two master suites. Both master suites have an additional sitting area or office. Third bedroom with guest bath. Home has a large kitchen, family room and living area with fireplace. There is a utility room at the side entrance with handicap ramp for access. On the front of home is a screened porch. This is a lovely home inside and is move in ready! The location is wonderful. 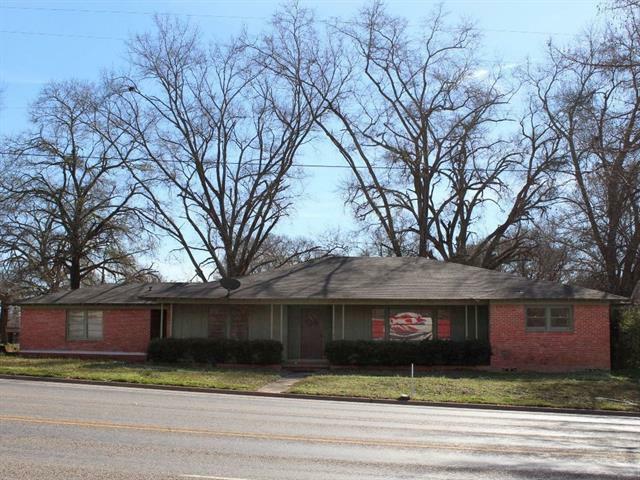 Just off of"
"Nice residential-commercial location in Frankston, TX. 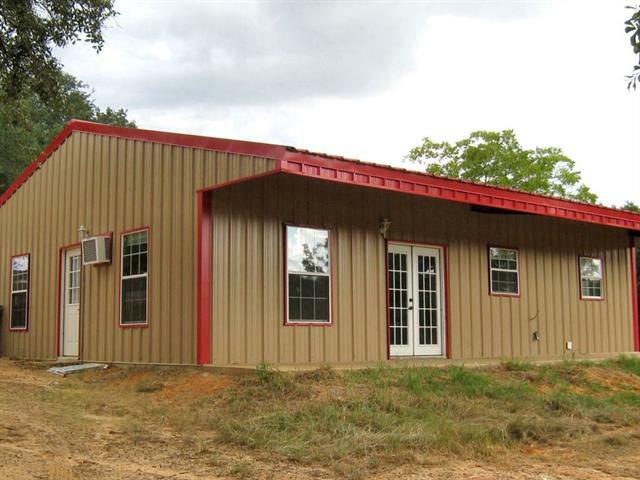 Metal building is built for 2 bedrooms & 2 full baths, large living, kitchen area & utility room. Interior building is not complete. Walls, floors & fixtures need to be complete. Electrical, septic & water are on site. Home-office has double doors on front along with a side entrance to the living room & entrance into the utility room. On the property is also a 1200 sqft shop building with electricity. Property does have income potential as i"